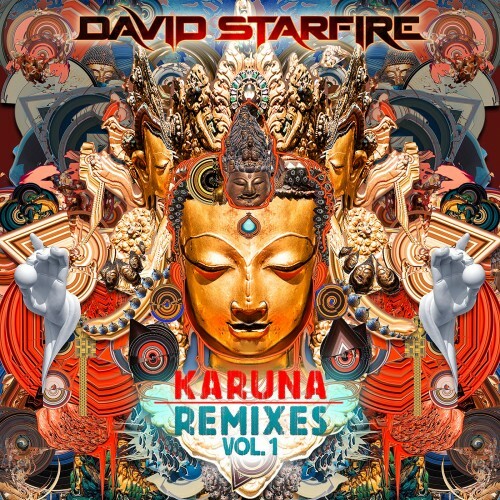 David Starfire’s Karuna Remixes Vol. 1 features remixes by AMB, Soulacybin, Morillo, and Rorschack. These songs were originally on his critically acclaimed Karuna album. David collaborated with Burmese refugees in various places along the border zones of Burma and Thailand. All of the royalties from the EP will go towards education for Burmese refugee children. Other artists featured on the album are Len Pong, HAANA, Govinda, Jamie Janover, temple drummers from Wat Pa Pao, and Chi Suwichan. Written and produced by David Starfire. Album art by Android Jones reimagined by Donnie Pitts.